Moses' life is characterized by a burning passion for justice. The Torah reading of this past Shabbat introduces us to the figure and person that will dominate all of Jewish life – and perhaps world civilization as well–for eternity. Though the Torah tells us of Moshe’s birth, salvation from the crocodile infested Nile River, and his early life as the adopted son of the daughter of the Pharaoh, including the incident of his smiting of the Egyptian taskmaster, which causes him to flee Egypt, it then tells us almost nothing of the ensuing decades of his life. Where did he flee? How did he occupy himself for over half of his life? How did he arrive at the well in the land of Midyan? Probably the greatest question of all is why the Lord chose him to be the redeemer of Israel and the greatest lawgiver of all time. The Torah itself is silent on all of these matters, even though one could think that this knowledge would be vital to understanding the biblical narrative itself. Nevertheless, Midrash attempts to answer some, if not all, of these questions in its holy and many times allegorical methodology. It makes Moshe a king over tribes in Africa, it grants him years of study and holy meditation and it attempts to give us a picture of the great prophet-in-waiting until the moment of his calling arrives. I have always wondered why the Torah itself makes no mention or description of these crucial years in a lifetime and development of Moshe. It allows him to emerge full-blown as the great prophet and leader of Israel without any preparatory background as to why he was chosen. The Torah does however tell us of an incident where Moshe physically intervenes to protect the daughters of Yitro from the discrimination and persecution of the male shepherds at the well in Midyan. Moshe stands up for the rights of strangers whom he does not know at the time. Moshe, among all his other Godly characteristics, has an extreme sense of right and wrong, of protecting the downtrodden and reining in the powerful. It is this sense that drove him to smite the Egyptian taskmaster who was unmercifully beating the Jewish slave. 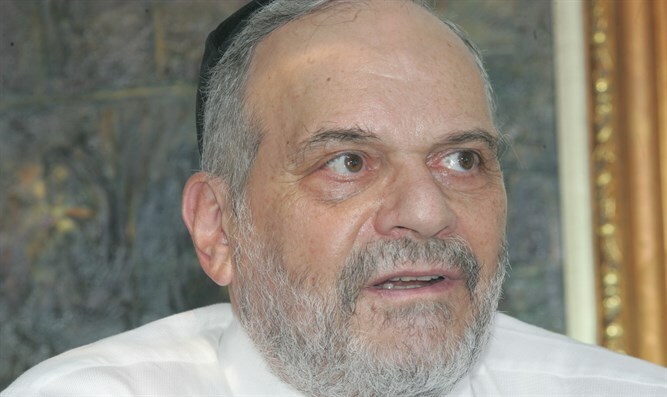 No matter what happened to Moshe in the intervening years of his life, from that incident to the time that we see him in Midyan, it is obvious that that overpowering sense of justice and rectitude never waned. This is what will allow him later in his mission to constantly defend the Jewish people even from the Lord’s judgment. He realizes that the redemption from slavery is a wrenching and difficult experience. That is the reason the Torah emphasizes to us that Moshe was a shepherd immediately prior to becoming the leader and savior of Israel. A shepherd by nature must be a compassionate, patient and forgiving person. Otherwise the sheep would never survive his shepherding. The Torah wants to emphasize to us that the true spiritual leader of Israel is humble, self-effacing, patient and possessed of a burning desire to replace wrong with right and evil with goodness.